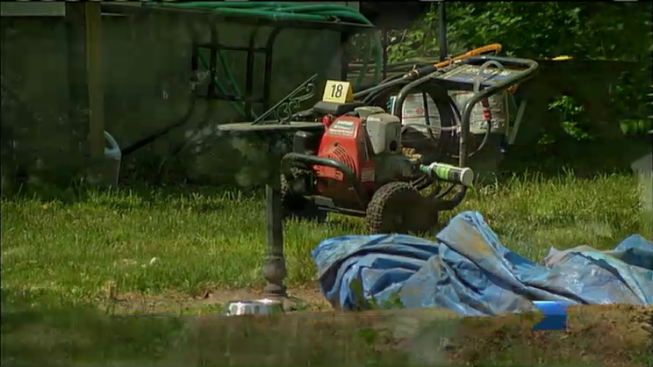 Necn affiliate WJAR reports fire officials responded to Glen Rock Road around 1 p.m.
A woman has died after falling into a fire pit at her home in West Kingston, Rhode Island, Sunday afternoon. The 63-year-old was outside while her son was power washing the home. Family members did not see her fall in, but heard her screaming. Her family then pulled her out of the flames and attempted CPR. She passed away at the scene. The fire pit was being used to burn some brush at the time, but family members aren't sure how she fell in. Her identity is being withheld pending an autopsy.